We’re looking at texture and colour today and how they interact with each other. A while ago I wrote about the importance of texture in my post here, and how it can be your secret weapon in designing your homes. Today is about how colour and textured surfaces translate their visual and tactile qualities. Texture has an effect on the appearance of how we see colour because of how colour absorbs and reflects light from its surface. For example, rough fabrics tend to absorb light and will make a colour look warmer whilst shiny gloss surfaces will help reflect light back into a room and appear lighter. I’ve picked three popular colour palettes to show you how colour can affect texture in a design concept. First up we have the neutrals. 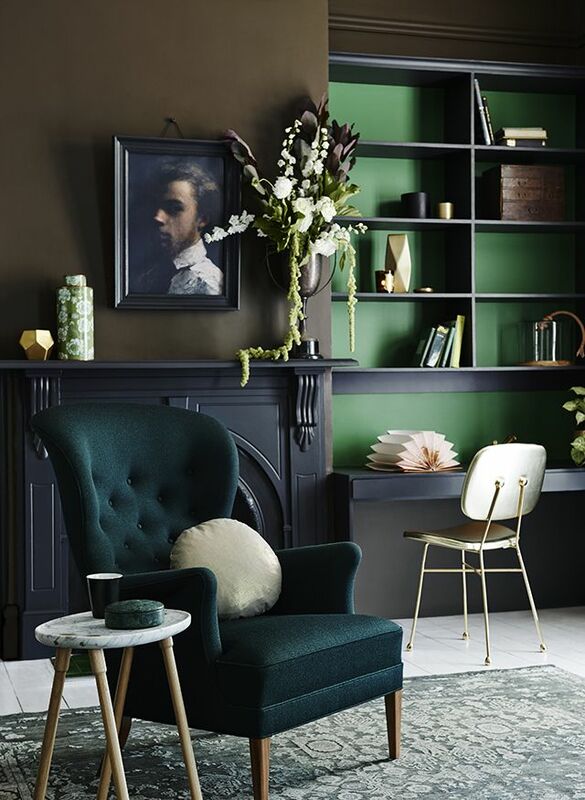 The huge majority of us tend to play it safe when it comes to colour and opt for neutral colour schemes as we feel less likely to get it wrong. They also have a tendency not to date, are easier to live with and will happily work in the majority of homes. 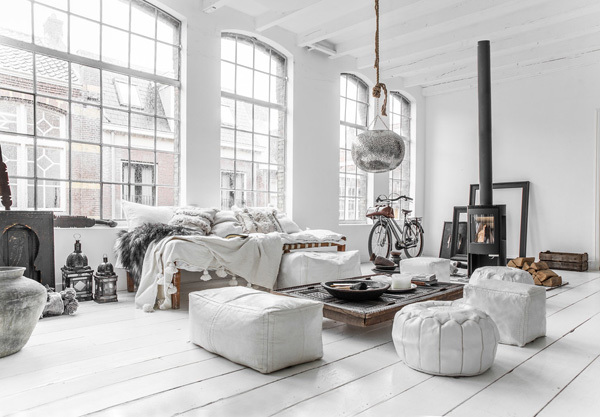 If you pick a neutral colour scheme there is a chance of your spaces becoming bland and uninteresting. 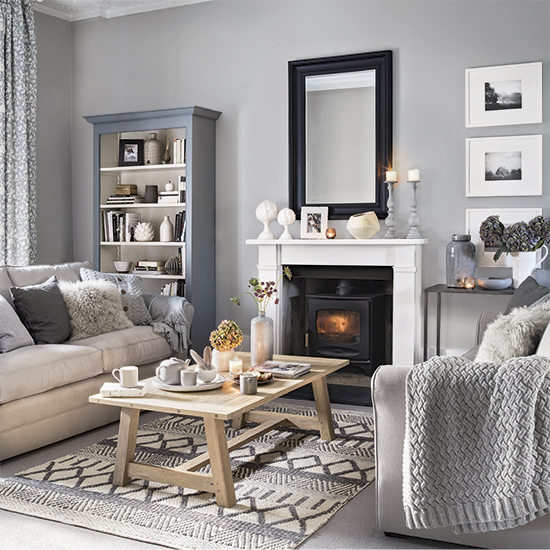 On a positive note, a neutral colour scheme is easy to incorporate lots of different textures. The trick is to incorporate an array of tactile and visual textures to create interest. The above living space is a good example of this. For example, the high gloss ceiling and contrasting rough wood of the coffee table. Neutral colour palettes can provide a greater impact of the textures you use within a design scheme. Darker colours absorb light, and shadows are less legible in darker coloured spaces. To prevent a space from looking gloomy, it’s important to add some light reflective materials. 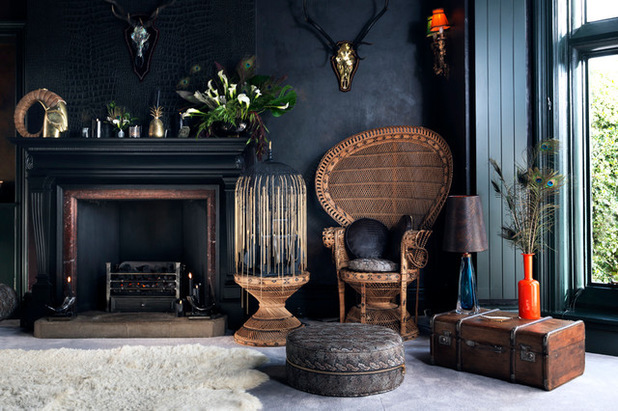 Darker palettes also rely on textural contrast to create interest more than lighter colour schemes. 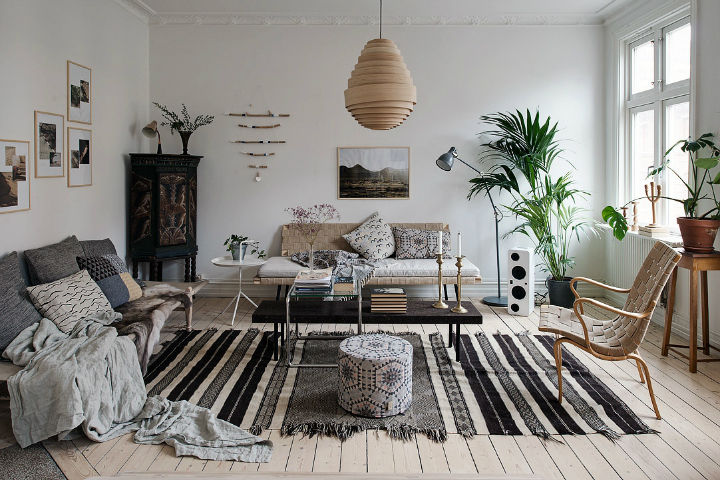 Sheepskins and cowhides are a popular way of adding texture as well as natural woven materials such as wicker and rattan. 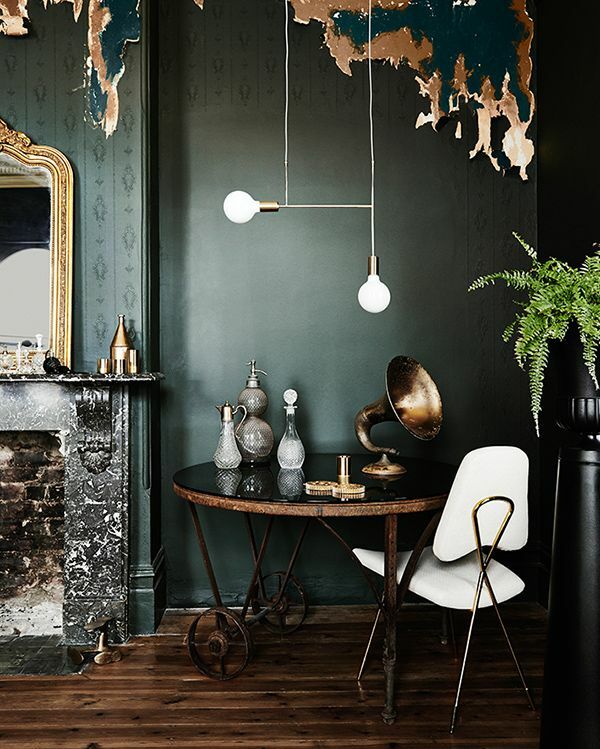 Choose materials for their reflective qualities for darker colour palettes. Mirrors are great, but so are metallics, which instantly lift a dark interior as well as providing interest and an air of drama. 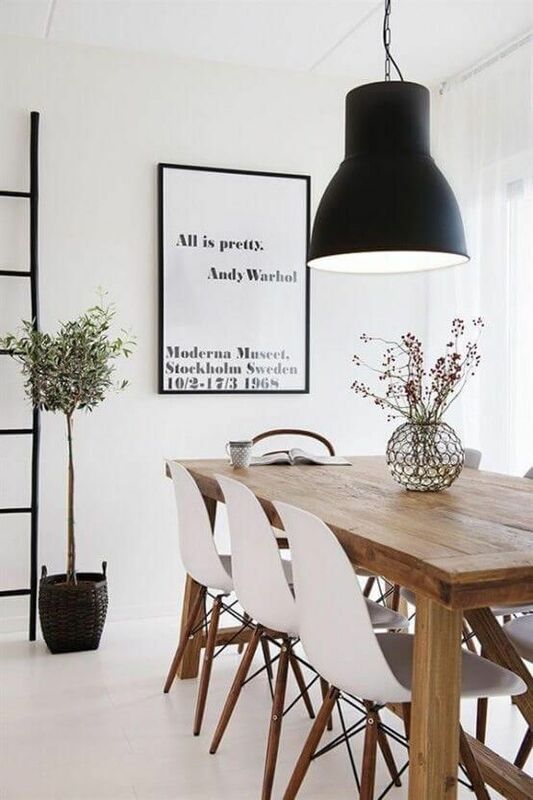 Lighting will also have an impact on the visual qualities of the textures you choose so it’s important to layer your lighting and highlight areas within your space with table, floor and wall lamps. Natural textures such as wicker, and worn leathers ensure textural contrast. Don’t forget to add some natural elements such as plants, which help bring our spaces alive and offers some architectural qualities. TIP: Rooms that receive plenty of natural light work well with darker palettes. Fabrics such as velvets and silks provide a richness to darker spaces. Although velvet textures absorb light, they add an element of richness and softness to a dark room. Textures are more pronounced with white colour palettes, and if your room receives plenty of natural light, the contrast in textures will be even stronger. It’s important to use contrasting textures with this colour scheme to provide definition and interest. 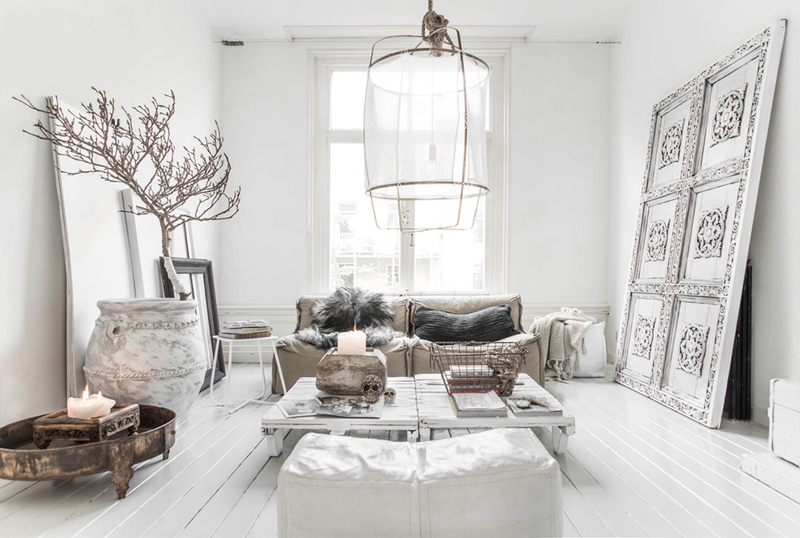 Use a combination of visual and tactile textures within a white colour scheme to ensure that areas are defined. Light reflecting surfaces combined with natural materials such as cork, or sisal will contrast and create interest. Wood is a wonderful natural texture that provides visual warmth to a white colour palette and will stop a room from looking cold. Don’t forget to consider delicate textures such as this decorative pendant lamps sheer voile covering. It provides an airy elegant quality to this living space. Rough, heavier textures add some visual weight, and balance to a white colour scheme ensuring that also help it feel more intimate and grounded. On a final note, whatever your colour scheme, consider the quality of the light that your spaces receives from natural daylight to your choice of lighting at night. The visual qualities of colour and texture and inextricably linked with light, and can only be fully appreciated by considering all three elements.